For any financial professional, proper knowledge of financial modeling is a necessity in order to develop your career and progress in the world of finance. San Diego State University's Finance and Investment Society have partnered with two key industry providers of financial modeling education. These are the providers that are extensively used in the professional finance world, and it is a great opportunity for students to develop the necessary skills in order to be successful in this ever-increasingly data driven world. As a university partner, we are able to provide current FIS members with a significant discount. Please contact an officer at one of our meetings to learn more about the discount price of each course. A SPECIAL PROMO CODE IS REQUIRED AND WILL BE PROVIDED TO CURRENT FIS MEMBERS ONLY. The modern financial analyst requires a well-rounded skill set that takes time to acquire. Some of the skills are developed in university, some are developed on the job, and some of the skills come from experience and developing a strong business intuition. At CFI®, we combine all three skill sets -- theory, application, and intuition -- into a condensed, self-paced program that can be taken anytime, anywhere. 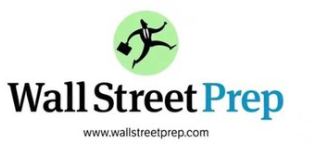 Wall Street Prep is the trusted training provider for the world’s top investment banks, private equity firms, Fortune 1000 companies and business schools. 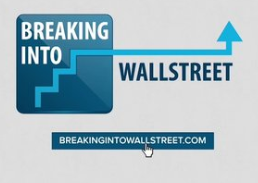 Breaking Into Wall Street is the leading provider of dedicated online training for aspiring investment bankers and ambitious professionals who want to master it as quickly as possible. Our material is different because it's based on real companies and real deals - not boring textbook theory. Rather than just "watching" the lessons, you become an active participant by following our proprietary B.A.S.E.S. learning methodology - so you master the material in short order.